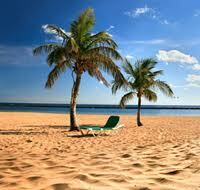 The Costa Blanca, with its wonderful beaches attracts millions of tourists every year. 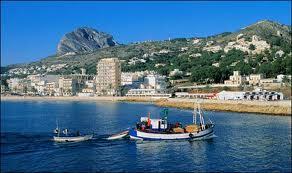 In the north the Costa Blanca starts with Denia and Javea two wonderful towns at the bottom of a mountain. In the south the costa blanca goes down to Guardamar and Torrevieja. With such wonderful cities like the Elche, the palm tree capital of the world. Spain’s Costa Blanca coast is one of the most visited regions of Spain. Translated as the ‘White Coast’, Costa Blanca is famous for its lively resorts, high-octane nightlife and its sun drenched beaches. Attracting literally millions of visitors, Costa Blanca is well-known for the resort of Benidorm, a year-round resort popular with package tourists and its manic nightlife during the summer months. As well as the popular beach resorts, Costa Blanca has plenty of other attractions including charming medieval towns, fortified villages and the mountainous regions inland. Flights to Costa Blanca operate from airports around the UK, the main international airport is located in Alicante. Just over a 2.5 hour flight from the UK, there is a great choice of direct flights to the Costa Blanca in particular low cost flights on airlines such as Monarch, easyJet and Ryanair. Head to Costa Blanca’s main city Alicante with its beautiful harbour, cathedral and historic buildings. The town of Calpe is famed for its huge rock jutting out near the coast as well as its picturesque 15th century churches, archaeological museum and ancient ruins. In the north of the Costa Blanca is the pretty town of Denia complete with 12th century castle and excellent shops or travel south to the city of Murcia boasting sandy beaches, historic architecture and the stunning peninsula of La Manga, home to three championship golf courses. Try our Directflights.com flight comparison search facility to find the cheapest flights to Costa Blanca. Cheap flights can usually be found outside of the busiest times of year for travel to Spain which are generally during the school holidays such as Easter, Summer and Christmas. If you're after lastminute flights, we can also find you the best deals and availability. The Costa Blanca is renowned for its healthy climate, it is not unusual to experience temperatures of 25ºC in January ! On the other hand, we have known the temperatures to drop as low as 6ºC. The lesson, of course, is to check in advance if the weather is an important factor of your planned day or week ahead. The summer months, can be unbearably hot, with temperatures getting as high as 40ºC - so beware if you are heat sensitive.